EHLM is the work of three organizers. Charles is a Ph.D. Candidate in the Department of Political Science at the University of Michigan. His substantive research focuses on various aspects of repression and discrimination in comparative, American, and international politics. Methodologically, he is interested in research design, experiments, and using computational tools to better understand the social world. He has published work on these topics in the British Journal of Political Science, Conflict Management and Peace Science, Electoral Studies, International Studies Quarterly, the Journal of Experimental Political Science, the Journal of Peace Research, Political Research Quarterly, Political Analysis, Political Science Research and Methods, PS: Political Science & Politics, Research & Politics, State Politics & Policy Quarterly, and in several journals in other fields. He co-organizes the Virtual Workshop on Authoritarian Regimes. More information can be found at his website and on his Google scholar profile. 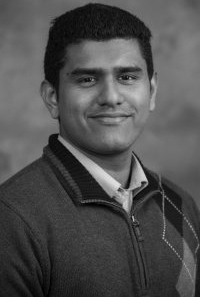 Anil Menon is a Ph.D. Candidate in the Department of Political Science at the University of Michigan. Before moving to Ann Arbor, he completed an MSc. in Economic History (Research) from the London School of Economics and Political Science and a Bachelor of Arts in Economics and History from Middlebury College. His core research agenda involves understanding the impact of historical legacies and memories on both past and contemporary political outcomes. One strand of this research explores the long run consequences of historical events on state capacity and economic development. Another seeks to shed light on the persistent impact of traumatic events on the political attitudes of individuals. He is currently working on experimentally ascertaining whether evoking memories can serve as an effective tool for political actors in manipulating public opinion. More information can be found at his website. 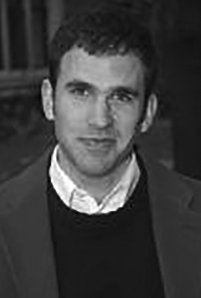 Robert Mickey is Associate Professor in the Department of Political Science at the University of Michigan. He teaches and studies U.S. politics in historical (and occasionally cross-national) perspective. His core research interest is in the contemporary politics of American economic inequality, racial politics, and American political development. He has published a book, Paths Out of Dixie: The Democratization of Authoritarian Enclaves in America’s Deep South, 1944-1972, by Princeton University Press on these topics. 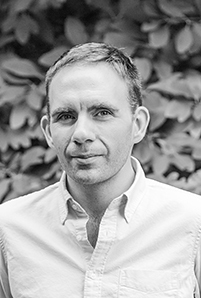 His research has also been published in the Journal of Law and Politics and Studies in American Political Development, as well as in several other journals and edited volumes. More information can be found at this website. Research on the persistent influence of memories and historical legacies has a rich pedigree, but there exists a vast gulf theoretically and methodologically between the disciplines that study the topic. This workshop is intended to help bridge that gap by promoting cross-discipline interactions between faculty and graduate students who work on this topic. We hope that this will lead to increased theoretical borrowing, methodological experimentation, and productive collaboration among UM researchers.